Bill Johnson, America’s first ever men’s downhill Olympic champion, won at Aspen in 1984, 13 years before the debut of Beaver Creek’s Birds of Prey course (Sports Illustrated cover). Aspen Mountain was only four years into its storied history as arguably America’s most iconic ski area when it hosted the first non-European World Alpine Ski Championships in 1950. Aspen ski patroller Pete Seibert made the U.S. team but wasn’t able to race due to injury. Seibert, of course, would go on to found Vail in 1962, inviting Bob Beattie and his fledgling U.S. Ski Team to train on the slopes of Vail that first season en route to winning the first ever men’s alpine medals (Billy Kidd and Jimmie Heuga) at the 1964 Olympics in Innsbruck, Austria. Cognizant of how hosting the Worlds had put Aspen on the international map in 1950, Seibert and his marketing guru, Bob Parker, relentlessly pursued big-time ski races and chased their dreams of hosting major events like the Olympics or the World Championships. “Pete was a ski racer and even the first year he insisted on what you would now call a World Cup race here,” said former Vail Mayor Rod Slifer, who met Seibert while teaching skiing in Aspen and later joined him in Vail. “[Steamboat legend and Kitzbuehel downhill winner] Buddy Werner and all of those guys were here and it was a big-time race, and then when we got big enough and well-known enough, then international racing was an important part of getting Vail on the map,” Slifer added. The very first season of the World Cup circuit, Vail hosted a giant slalom won by France’s Jean-Claude Killy in March of 1967. Heuga, who was later diagnosed with multiple sclerosis and founded the local Heuga Center (now Can Do MS), was second in that race. 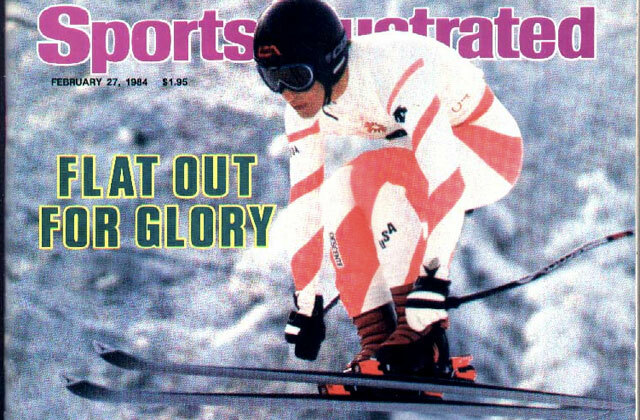 Vail became a regular stop on the World Cup circuit in 1983, when American’s Phil Mahre and Tamara McKinney won GS races en route to simultaneously claiming the overall titles that season. Seibert by then had left the company he founded, but World Cup racing was here to stay. Aspen, meanwhile, hosted men’s and women’s World Cup races the second season of the circuit’s existence, with Canadian great Nancy Greene sweeping all three disciplines and Stowe, Vt., and Steamboat legend Kidd winning the slalom in March of 1968. Aspen again hosted races in 1976, with all-time World Cup winner Ingemar Stenmark of Sweden claiming the slalom and Austrian great Franz Klammer taking the downhill, but it would be another five years before it became a regular World Cup stop in 1981. Since then Aspen has fairly regularly hosted races, but the men haven’t been there since 2001 when a young Bode Miller was second in slalom, and while Vail will host its third World Championships next season (Feb. 2-15, 2015), the big event second only to the Olympics has never returned to Aspen. Aspen is trying to host the season-ending World Cup Finals that year, an event that includes both men and women and often decides the circuit’s overall and season discipline titles. The last time an American resort hosted the finals was Vail in 1997. By comparison, the World Championships are a two-week, mid-season extravaganza held every two years to determine the sport’s greatest racers between the four-year span of the Winter Olympics. Vail and Aspen are the only two North American resorts to host the Worlds, and McKinney, with her gold in the combined in 1989 at Vail, is only American who’s ever won a world championship medal of any color on U.S. snow. And those Worlds only happened because Aspen pulled out as the U.S. candidate at the 11th hour, according to Vail Valley Foundation Chairman Harry Frampton, leaving Vail about a week to pull together the winning bid. Vail learned from those Worlds and won them again in 1999, building a now iconic men’s downhill course at Beaver Creek called the Birds of Prey. Former Vail owner George Gillett said those 1989 Worlds did two key things. “The year after the World Alpine Ski Championships we went to 13 percent international skier visits [compared to 2 percent the year before], and that really validated Vail as an international destination resort,” Gillett said, and it was at those championships that Gillett saw Seibert and invited the Vail founder, former ski racer and Olympic dreamer back into the company fold. Which was the course used for the Downhill when it was raced at Vail? I came over to watch Steven Lee Australia’s only Downhiller then, race in the World cup at Vail – He had no real support crew and trained with the Austrians. Not sure of the year in 70’s or 80’s but would you have any record of his entry then? The course was International at Vail, which is now called “Lindsey’s Run” to honor the great Lindsey Vonn. The Colorado Ski Museum may have some record of Steven Lee. I’ll forward your question to them. Thanks for reading.